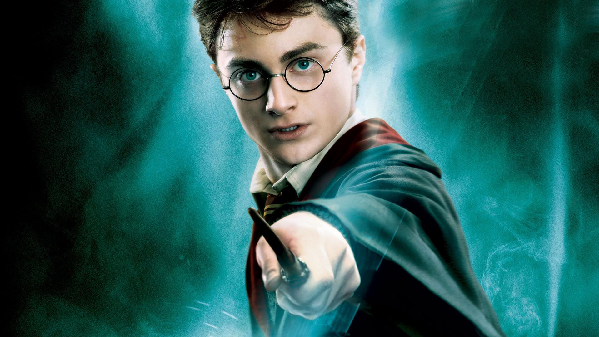 Is the Harry Potter series a radical children’s guide to liberation? Sort of, argues Appalachian State University’s Jill R. Ehnenn. Some time back in 2007, the book Queer Popular Culture: Literature, Media, Film, and Television was released with a chapter by Ehnenn titled “Queering Harry Potter.” Ehnenn argues that the popular children’s book series can be read as a queer narrative against normalcy. Reading [Harry Potter] queerly makes possible a pervasive critique of normalcy in these books. Thus, queering Harry Potter has the potential to invite readers to imagine a spectrum of strategies and subjectivities, especially queer youth who may have few resources and no role models for anything other than heteronormativity. Why you ask? Because “Muggle” is a code word for straight people and children are taught to embrace difference in the hopes that one day they’ll be trafficked transported into a faraway magical land that teaches you wizardry. Oh, and Ehnenn admits that those crazy Christians trying to ban Harry Potter because it’ll turn their kids into Satan-worshipping queers are probably right. It certainly turned Harry Potter star Daniel Radcliffe. The answer to the question, ‘What is natural’ must become simply, as Harry begins to discover, ‘Difference is natural;’ although not the kind of difference that fuels rampant individualism, but the kind of difference that permits multiple and hybrid ways of individual and collective being in the world. Traditional family values (values, in fact, held by families like the Dursley) can render the home a very dangerous place for queer kids – youth who may be driven to self-inflicted violence, or face other dangers if they run away. Thus, even while some may question the literary merits of children’s fiction in general and Harry Potter in particular, and while we theorize the many ways that children’s literature is often prescriptive, reinscribing values that uphold the status quo, we should not dismiss or belittle its potential for queer readers. For some, especially queer and proto-queer youth who feel isolated, a text like Harry Potter may constitute one of the very few outlets for momentary solace amid heterosexist oppression, as well as an opportunity to begin to learn they can resist that oppression. While in the process of writing this article, more articles surfaced about Harry Potter and queer theory. Know any more articles on Harry Potter and critical theory? Let us know on our Facebook page.